I totally adore this skirt on you! I'm loving that skirt! 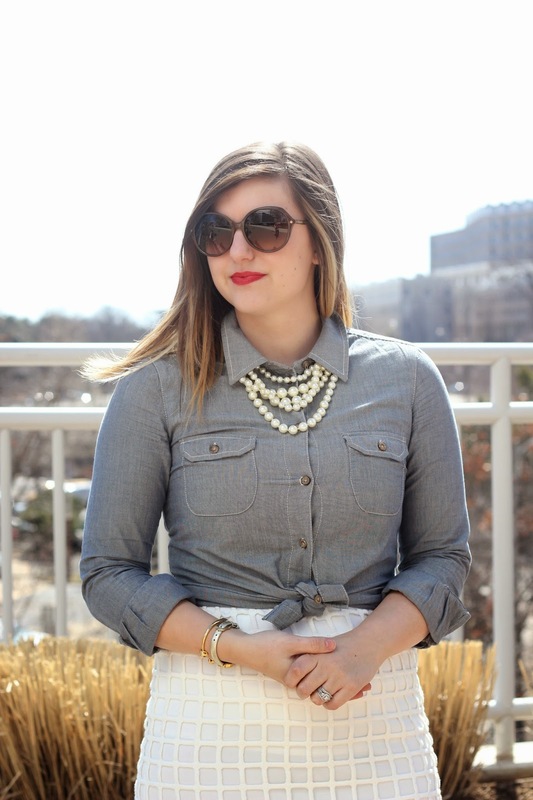 Super cute with the chambray top! That skirt is so fantastic! Love love it! LOVE the skirt! This whole look is super cute! Pretty outfit! Love the skirt! Oh that skirt is sooooo good! So fantastic!